Seriously, I do not even know what to say. 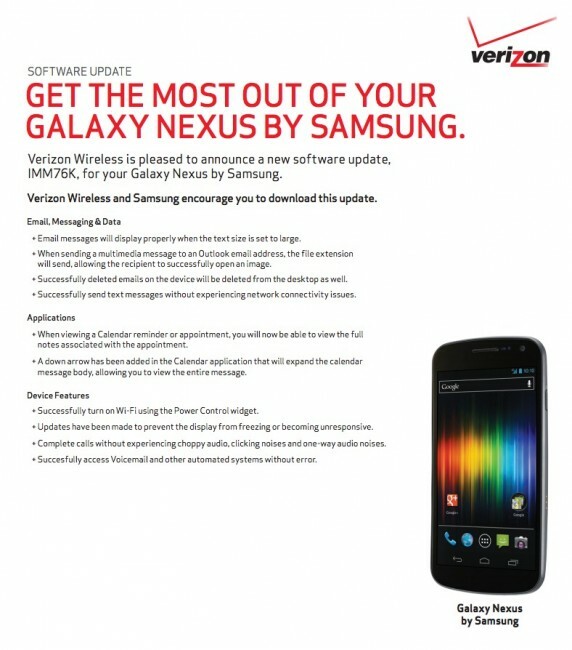 But yes, the IMM76K Android 4.0.4 update for the Samsung Galaxy Nexus on Verizon has been approved. The support doc is live and that usually means that update will hit devices within a few days. This is the same update that leaked in early May, was then pulled briefly by Google, and then resurfaced last week. We were told that the update would finally start to rollout in small batches last week on the 22nd, but it appears now as if it will start at any moment. As a refresher, this update comes directly from Google, however, Verizon clearly was taking their sweet time signing off on it. As you can see from the changelog, they fixed a bunch of email and text issues, some calendar stuff, and hopefully, those pesky in-call audio bugs. If you would like to manually update today, you can check out this instructional post. The update is approximately 39MB in size. More info. Be sure to let us know the minute it pops up on your device!